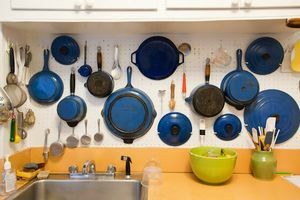 This is the kitchen of Judith Jones, legendary editor of so many great cookbooks by ground-breaking authors including Julia Child, Marcella Hazan and Madhur Jaffrey. 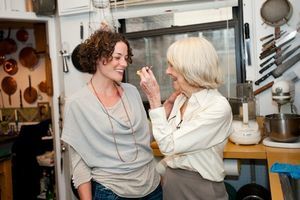 Now at almost 90, she’s still a Senior Editor and VP at Knopf and is an accomplished cook with decades of experience and wisdom in her pocket. 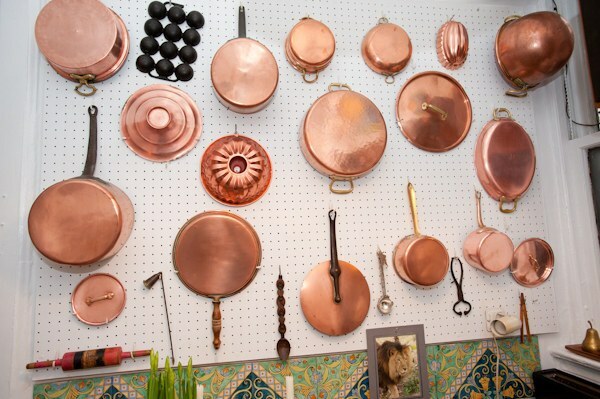 And dozens of covetable cast iron and copper pans as you can see. These are just a few photos from the kitch’n’s tour of Judith’s kitchen. It’s definitely worth checking out the rest and reading writer Sara Kate’s touching account of being mothered/fed/loved that day, by someone who clearly cooks with their heart.